DansGuardian is a true web content filter. The latest beta when this article is published is 2.9.8.5. Download it here. Beta doesn't mean it is unstable. From my experience, it is a very reliable piece of software. Downloading source code and compile it yourself is the best way to take full advantage of its (latest) capabilities and speed. I have more than 200 clients in my network. To provide a fast and reliable internet connection, I have to use a proxy server and dansguardian is used for filtering unwanted websites and scanning for viruses of downloaded files and websites. Note: For Fedora users, you may need to use /sbin/chkconfig instead of chkconfig. If you have installed dansguardian via package manager, it is easy to upgrade it with package manager too. So you don't need to mess up with compilation and dependencies. It will take care of them for you. I like to download source code because I can download the latest and to take the advantage of its speed. You can not always get the latest packages with package manager and the package may not optimized for your machine. YMMV. 1. Download the latest source code. 3. cd into the source dir. If you have previous version of dansguardian, please backup directory /etc/dansguardian/lists because installing the new one will overwrite all the files in it. You don't want to refill all the sites you have entered in all files in there for banned sites , exception site (unfiltered sites) etc2. Note: 192.168.5.2 is the IP which dansguardian will listen on. If left empty, it will listen on all IPs. For increase security, please state IP(s) that it needs to listen on. filter_port is the port it will bind to. proxy _ip is the ip where the proxy server (daemon, e.g squid) listens on. Note that you must run proxy server before running dansguardian or it will fail to start. 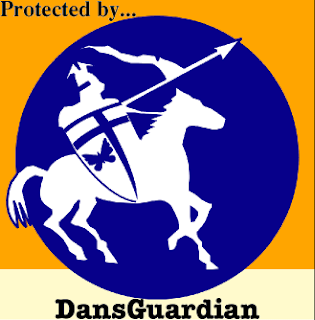 Dansguardian can use antivirus for content scanning of viruses. I use clamav for this. You need to uncomment the directive contentscanner and modify file /etc/dansguardian/contentscanners/clamdscan.conf. /tmp/clamd is the socket file for my clamav daemon (clamd). Change it accordingly.